Price includes lesson time, balls & video. Prices are subject to change. There is a 24 hour cancellation policy! Improve your game & play your best golf! If you’re interested in a single, longer & very informative lesson… the 1 hour lesson is for you. This lesson will include a brief warm up, questions about your game, your goals, video & discussing your swing. Lastly, we’ll conclude with drills, exercises and maybe a training aid or two that will help you improve at a steady pace. Junior rates are for students in high school or younger! In a group environment, golfers will focus on the fundamentals of the game. Keep in mind, it’s easier to learn when you’re having fun! On course playing lessons are very important for both the student and the instructor. It gives the instructor an opportunity to evaluate the student’s swing from tee to green, short game & putting. Before taking your lesson, write down any questions you would like to discuss concerning your game. This session will take approximately 2 hours, so please book your lesson well in advance. Includes approximately 2 hours of on course instruction, greens fee, golf car fee & other facility fees. While on the golf course, we will use video as much as time allows. 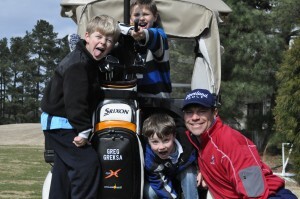 Group lessons are very advantageous for the golfers just starting out. These lessons will cover all the fundamentals to enjoying the game of golf. The group lessons are also beneficial for small business groups looking to refresh their skills. 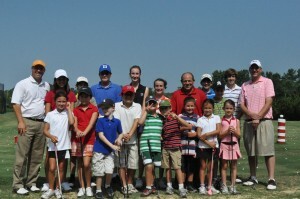 Ratios will be 6 students for 1 PGA Instructor and offer a more affordable way to learn the game. Group lessons could be 1 hour or 2 hours, depending on the group’s time frame. Group lessons must be booked in advance. Please call for more information on booking your group. Price per clinic may vary.